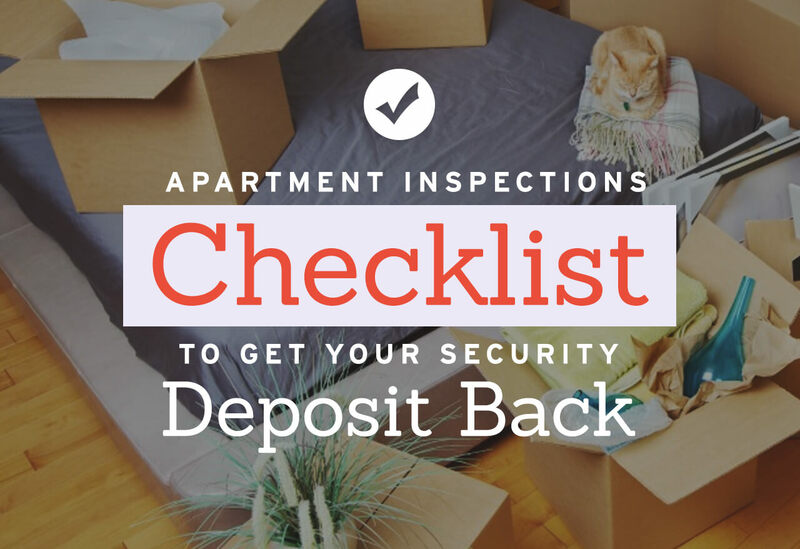 If you are moving apartments soon, then you’ll probably want to find out how to get your deposit back.The landlord is required by law to refund the tenant’s security deposit after the renter moves out of the property. Deductions may be made by the landlord to cover anything beyond normal wear and tear. This statement may be subjective at times, but it is a general rule that normal fading of the floors, wearing down of the carpets, and faded countertops due to friction caused by regular use are considered normal wear and tear. However, stains, damage caused by pets, holes in the walls, and anything that became broken after the tenant moved into the apartment will not count as normal wear and tear. Before moving out, be sure to research renter’s rights laws in your area pertaining to security deposit refunds. These laws vary from state to state, and it’s important that you equip yourself with the knowledge of your own rights as well as those of the landlord. While many landlords will do their best to be honest about any money due back to you, it’s an unfortunate reality that some will not. “Knowledge is power” often holds true in this situation as your landlord will be more inclined to follow the law if he sees that you are knowledgeable in the subject. Check all hinges on the property, including door and cabinet hinges. If any of them have broken or come loose, purchase replacements and have them installed. Be sure that the replacements are the correct type and size for the structures they will be attached to. Locate all holes that have been left in the walls, either from accidental damage or from hanging up photographs, shelves, or decorations. For small holes caused by nails, use a wall joint compound along with a putty knife. For large holes, you will need to use a bridging material covered by a patching compound. All appliances that were inside the apartment when you moved in must be returned as close to their original condition as possible. Empty the refrigerator and thoroughly clean it, both on the inside and on the outside. De-grease the stove and oven and then scrub them clean. If the property came with a dishwasher, give it a good deep cleaning before you move out. A magic eraser can make the entire process a lot easier. Empty the cabinets and clean them out with soap and water. Check the quality of any liners inside the cabinets. If they are damaged, replace them with identical or similar liners. Clean both the interior and the exterior of the cabinet doors and then scrub all counters and surfaces clean. These thorough cleanings do more than just make everything as presentable as possible. They also give you a chance to spot any damage you may have missed that needs repairing before the landlord’s inspection. Repaint any walls that have stains or ones which you changed from their original color without the approval of the landlord. Also, you may need to repaint any areas where holes were repaired if the final color does not match the rest of the wall. When repainting, try to match the original color as close as possible. No one enjoys cleaning bathrooms that have been used by other people. Your landlord will likely notice and appreciate if you have scrubbed down the bathroom and left it spotless. Use bleach to leave the bathtub and sink sparkling white. You may also use bleach on the toilet but remember to never use the toilet without making sure that no bleach remains in the bowl. Ammonia mixed with bleach can create toxic vapors. Ideally, toilet cleaners should be used for the interior of the toilet. Sweep or vacuum all floors and stairs, including the porch or patio if your apartment has one. Follow this by thoroughly mopping every room. If there is grime or buildup, a mop may not be enough to scrub it away. A rough sponge, S.O.S. pad, or magic eraser may be needed to do the trick. It’s best to save the floors for last because any work you do on the counters, walls, cabinets, or anything else above floor level can cause residue to fall back onto the floor. Take pictures when you move out. It would be ideal to also have pictures from your move-in date to compare to the pictures from your move-out date, especially if there was any damage when you moved in. If the landlord did not know about the original damage, forgets about it, or if he is a dishonest landlord, it may get blamed on you. Because images can be easily manipulated, it would also be a good idea to create a video walk-through to provide further proof of the property’s condition. If possible, confirm with your landlord how far in advance he wants you to report that you will be moving out of the apartment. Even if your lease already states a time frame for this, it may still be a good idea to check with your landlord. Your lease might state that he needs a 30–day notice, but when you speak with him you might find that he would prefer a little more time to prepare for the loss of a tenant. Being courteous towards your landlord and taking steps to make sure the two of you get along with each other throughout the process while having good communication will work in your favor when it comes time to ask for your security deposit back. When it comes time to request a walk-through to assess the property, ask the landlord if you can be present during this inspection. The landlord is not obligated by law to allow you to accompany him during the walk-through. But many of them will , so it doesn’t hurt to ask. If you are there during the process and maintain communication throughout the inspection, a deceptive landlord will find it harder to come up with reasons to deduct from your security deposit. At the end of everything, you will need to return the key to the landlord along with any copies. 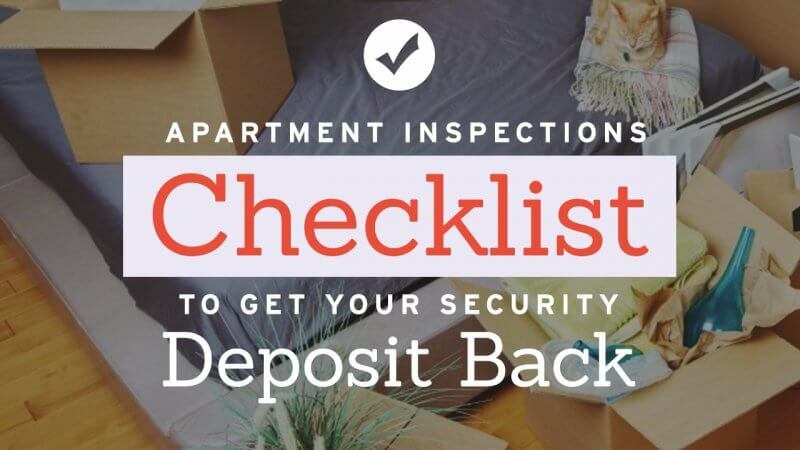 Let the landlord know where you want your security deposit sent. If you haven’t discussed this with him, he will have to send it to your last known address or forwarding address. Landlords are given a deadline for either returning the security deposit or providing you with a list of deductions for repairs, owed rent, or cleaning costs, along with the remaining amount of the security deposit. This time frame usually falls between 14 and 60 days from the tenant’s move-out date but varies from state to state. If the deadline passes and the landlord fails to deliver, the tenant then has the right to file a lawsuit in small claims court for a security deposit violation.